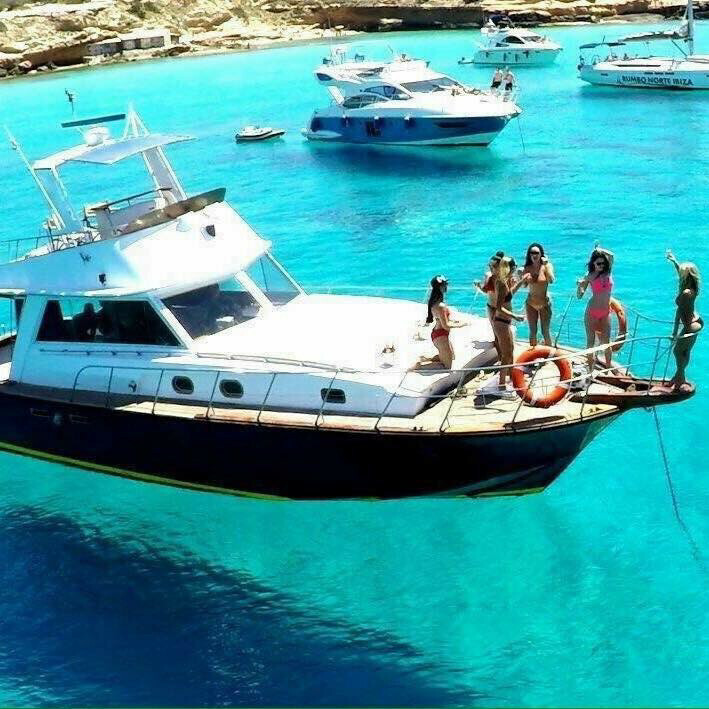 If you were considering an Ibiza boat party on your itinary, though were after something a little more private, then this could be just for you! We take a maximum of 14 people per trip and include all of the following for your 3.5hr trip! 42 ft long and 13 ft wide!